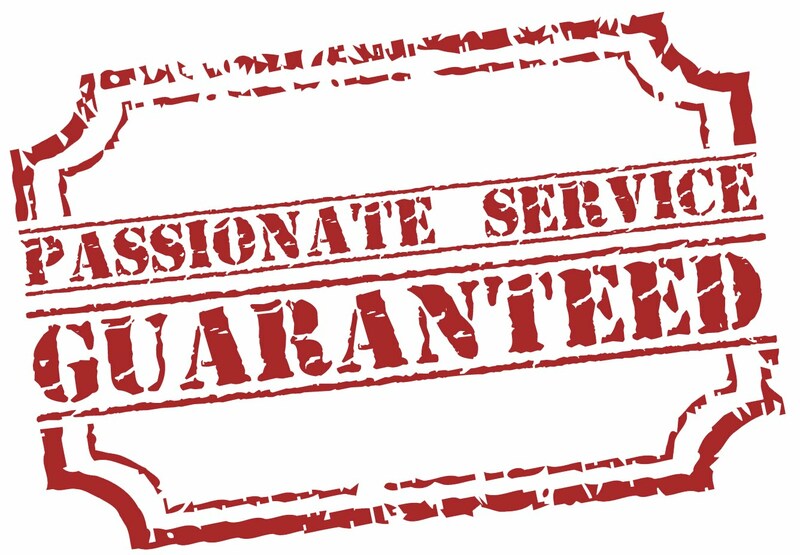 Here's another post from our passionate service series, looking at how unlimited design changes mean our clients always get the best from their design. Very little in life runs smoothly, and a web design project is no different from anything else. One of our project managers, Cat, was working with Ruth Skinner on her new website for her new bed and breakfast. Cat had put together a beautiful design, and they were very nearly ready to start work on the content layouts when Ruth got some bad news. The planning permission for the bed and breakfast had been refused! Ruth had to go away and think of a new business plan. She decided to use her great location to open a pub. But this meant she needed a whole new website design to work for a pub, and there was no way the bed and breakfast design would work for her. Now, at this point, some web design companies would say " Well, as we've nearly completed your project and we'll have to start again from scratch, that will be a whole new website." And charge accordingly. 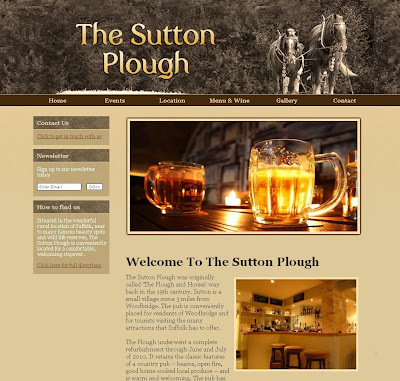 But because Ruth had come with us, and our web design packages always come with unlimited design chages, Cat was able to say "No Problem" and put together a completely different design for a new pub. 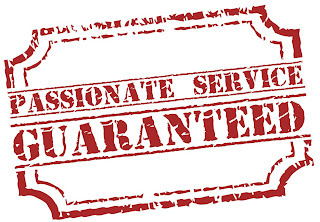 "I think you provide a very well organised and structured service, infact you've thought of everything! It's all worked very smoothly and Cat has been great, so thank you!" If you're working with website design company like Toolkit Websites, you'll probably hear the term "Call to Action" being bandied about. Whilst it does sound a bit like marketing jargon, it is actually some thing extremely important to consider when putting your new website together. A "Call to Action" (CTA) is a part of your website that encourages the website visitor to complete an action on the website, such as filling in a form, or contacting you. It's amazing how many people hide their contact forms away with small links on the bottom of their websites for example. We've recently updated our website to use new CTA graphics to encourage visitors to use our new live chat service. To make your call to action button stand out from the website, it's best to have your button designed using colours that contrast strongly with the rest of your design. This will help the button catch the eye of the website user. If you have a blue website for example, you might like to consider an orange button as this is the opposite colour on the colour wheel. Or if you have a mainly black design, a white button would work well. As mentioned earlier, it's no good hiding away important links at the bottom of a website. The best places to put your call to action button are at the top or centre of your website so they are the most prominent element of the design. Remember to put lots of space around your button so it can been seen in it's own right, and not get confused with other elements. You can increase the number of clicks on your button if you can convey a sense of urgency through it. For example having the text "Contact Us Now" sounds more urgent than "Contact Us" or simply "Contact". Adding information on how long a process will take can also help with convincing users to act. You could try "Get a Response in 30mins" on a button to a contact form for example. Most people think that their logo should be the largest thing on their website. Not so. The largest, most prominent element on the website should be your Call to Action. Your logo alone will not convince people to contact you, but a cleverly written Call to Action that really catches the eye might just do the trick. So, if you'd like to get more from your website, consider adding a prominent call to action on the site. We can design bespoke buttons for your website for any purpose. Europe’s #1 Browser goes to.... Firefox! So it has happened. Firefox is finally the dominant force in web browsers throughout Europe! The young fox took its first steps on the big stage by releasing Firefox V1.0 on November 9th 2004. Internet Explorer, more commonly known as IE had been dominating the browser market for years. In fact up until 2003 – 2004 when IE released IE 5 and 6, Microsoft catered for a formidable 95% of users who browsed the World Wide Web. Whilst IE has been in a steady decline, Firefox has been growing in popularity. The main reasons for this are due to its speed, features and abundance of available add-on extensions. Some standard features include a spell checker, download manager, customizable skins and live book marking just to name a few! But one of the best features Firefox has to offer is its browser security. Unlike IE, which is widely known for its regularly exploited security flaws and loop holes. Firefox developers are constantly trying to address vulnerabilities and release patches when necessary. So in December, the open-source Firefox stole the lead in the European market share by recording 38.1 percent while IE shares slipped to 37.5 percent. Another browser, Google Chrome saw shares rise to 14.6 percent from just 5.1 percent the year earlier. It is believed that Google Chrome is taking the shares from IE whilst Firefox is maintaining its stand in the market. Globally, IE still remains the market leader, but it seems they are losing the strong grip they once had!